192 pages | 3 B/W Illus. 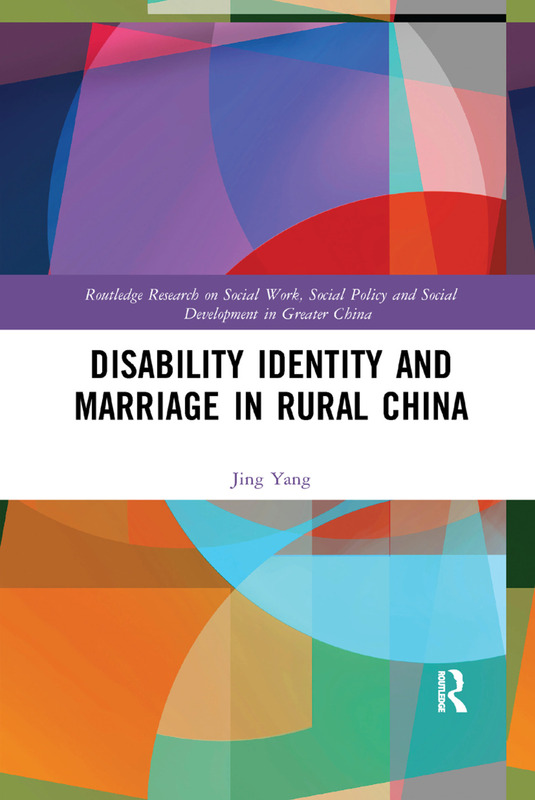 Based on data collected through in-depth fieldwork observation and interviews in Bai Township, this book examines how women with disabilities in rural Southwest China compensate for their disability identity through marriage. As the first book to theorize the married life of rural-based women with different types of disabilities, it provides a more holistic picture of their marital life by tracing the marriage process from mate selection to wedding ceremony, reproduction and role performance. It also generates a substantive theory grounded in the real experiences of women living with disabilities with Jing Yang arguing that these women are not passive victims in the marital process, but active agents who endeavour to minimize the risk of abuse and maximize security and satisfaction in their marriage. By examining the effects of fertility, patriarchy and village society on women with disability, this book will be of huge interest to students and scholars of many disciplines, including disability studies, sociology, social work, women's studies and Chinese culture and society.